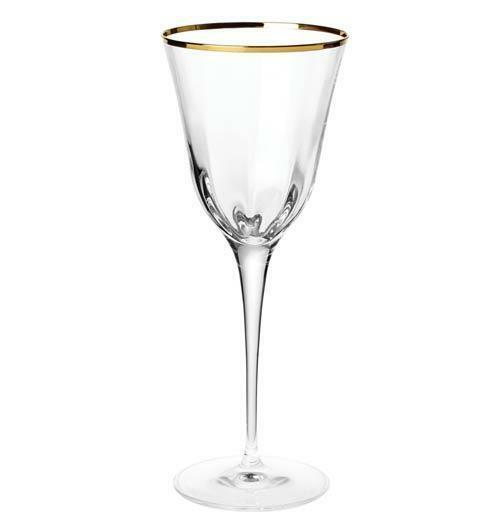 9"H, 9 oz The Optical Gold wine glass is trimmed in a delicate gilded rim, and its elegant lines bring sophistication and glamour to every table. The golden embellishment is effortlessly beautiful. Handcrafted in Naples. Handwash.